Gingko Biloba has been revered for centuries by Asian cultures, not only for its unique beauty but also for its specific healing properties. Gingko has been shown to increase blood flow which improves circulation, brain function and is commonly used to combat Alzheimer's. 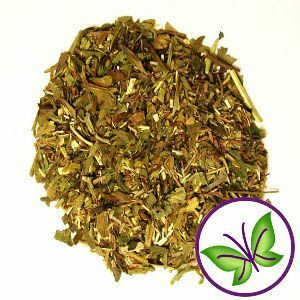 Gotu Kola (not related to the Kola nut) has been used for thousands of years to boost memory, ease anxiety and reduce inflammation (arthritis, asthma, vericose veins). 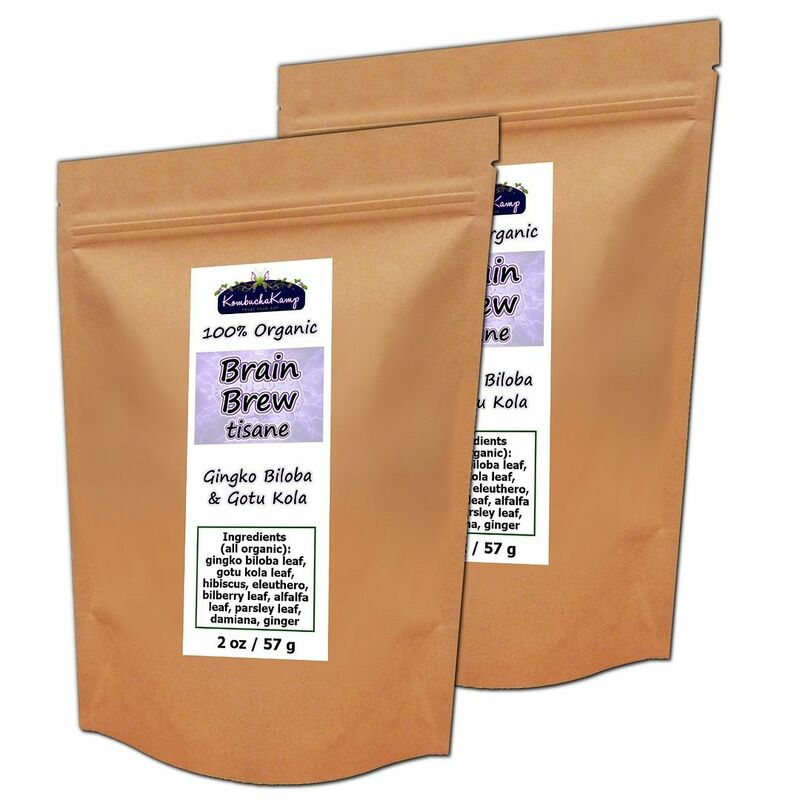 Add Brain Brew to your Kombucha to take those health benefits to the next level or enjoy as a delicious tisane. 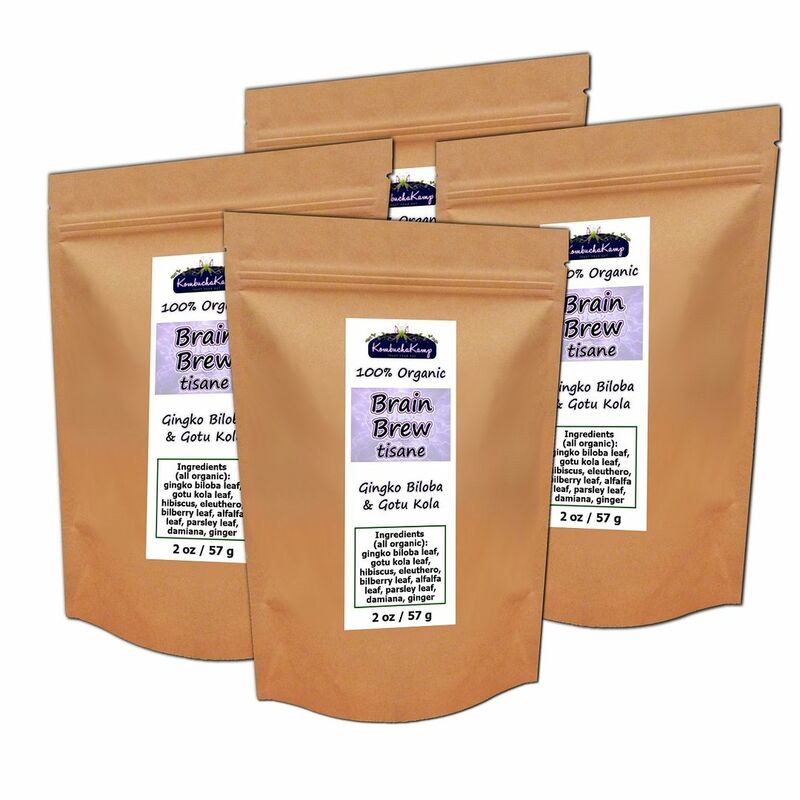 Brain Brew can also be combined with other flavorings to create unique, healthy blends. I was impressed with the amount in the package, and was excited to try it. It has a nice subtle flavoring, and it has become my husbands favorite. Though I haven't tried it yet, I have read it goes well with a bit of ginger. I'll be trying that next. I bought several different items to flavor my kombucha with & each one has a different taste & they all were wonderful. I bought this for the added benefits of the ingredients & will definitely get more when I run out...so good I can't choose my favorite, elderberry, ginger, chai spice, & brain brew. I add a little of this to every batch. I'm going to try to brew a strong concentrate and add it to 2f next. Great flavor! This tisane is absolutely delicious! I wasn't sure I would like it, but I have been pleasantly surprised! I only ordered one package to try, but I will be reording before this is gone. 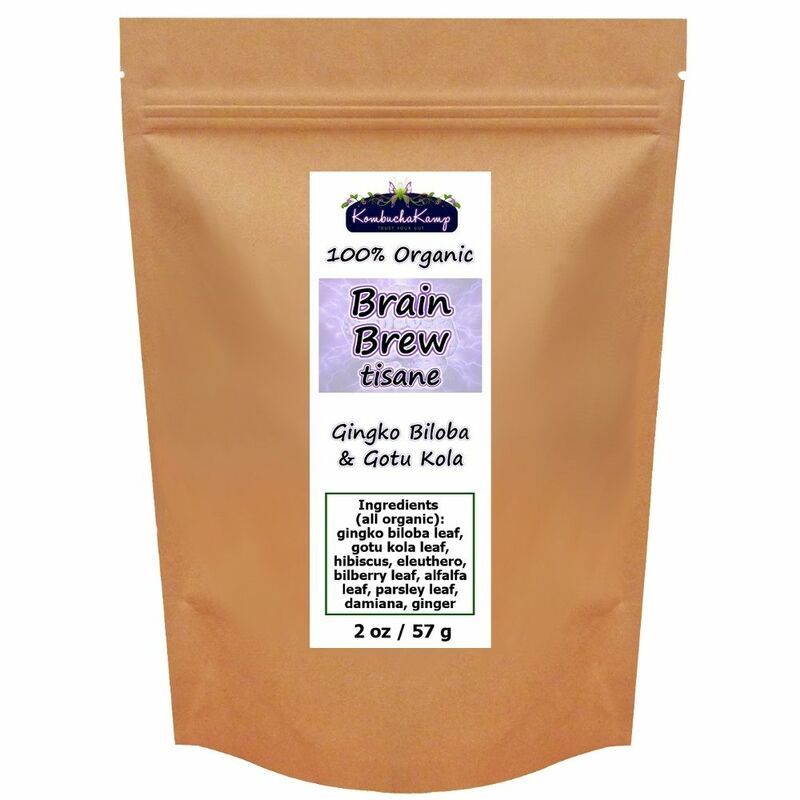 So far I have only used it to second ferment kombucha, and I haven't had enough to know if the brain has benefited, but I am looking forward to drinking more! I just bottled more, and will pass some on to my friends to try! Thank you for a great blend! This is my 2nd most favorite flavor. I can't get enough of it. This is one of my favorite flavors. Very rich & smooth. Let it sit during the secondary fermentation stage an extra week & it will really start to carbonate a lot. I also like this with some ginger added! I tried this on a bit of a whim. I like it! Don't know if it's benefitting my brain yet but it tastes very nice! I like it! This is a very nice flavoring. I use it alone and sometimes I add a bit of ginger.